One Sunday afternoon in 1907 in the Bronx, New York a group of Irish-Americans gathered to discuss politics. A mixture of recent immigrants and second generation Irish Americans they gathered at the Gurely-Flynn household. The Gurley-Flynn’s were in many ways what we might assume a stereotypical Irish American family to be in the early 20th century. The mother, Anne Gurley was from Galway, while the father, Thomas Flynn was the son of Irish Emigrants from Mayo. 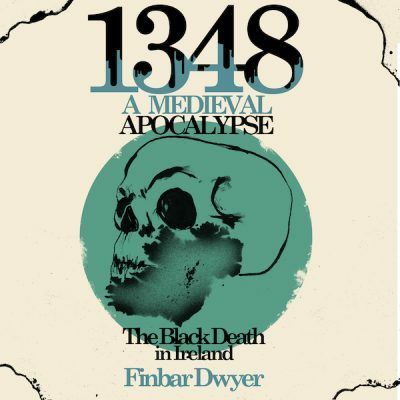 The Flynn’s like many Irish Americans traced their family roots to Irish rebels, Tom Flynn’s grandfather “Paddy the Rebel” had supposedly participated in the 1798 rebellion in Ireland. More recently Tom’s father fled Ireland after attacking his landlords property. Whether true or not the stories illustrate a sense of identity closely linked to Ireland something common among Irish Americans. However the topic of conversation in the house in 1907 was not what we often associate with Irish-Americans. Far from the conservatism of mainstream Irish American politicians, the focus of the meeting in their house to form an Irish Socialist group. Discussions around socialism were not unusual in the Gurley-Flynn house as Anne was a feminist and Tom an anti imperialist socialist who opposed the US war with in Cuba in 1898. Clearly not all Irish Americans were like Tom Flynn or Anne Gurley. Indeed one of the incidents that lead to the meeting in the Flynn house in 1907 was a statement from the Irish American mayor of New-York George B McClellan who had proclaimed proudly “There are Russian Socialists, Jewish Socialists and German Socialist but thank God there are no Irish Socialists”1. What Mc Clellan did not realise was that there while there may have been no Irish Socialist group many Irish Immigrants were socialist. It was partially in reaction to Mc Clellan’s statement that James Connolly, several members of the Gurley-Flynn family including daughters Elizabeth and Katherine, Patrick Quinlan amongst others gathered in the Flynn house and through the course of the meeting they gathering formed “The Irish Socialist Club”. Although the Irish Socialist Club had limited success its founders would go on to provide American Unions with some of their most prolific organisers. These Irish American Socialists would also be to the forefront of American Socialism for nearly 20 years. The lives of these prominent Irish-American radicals offer glimpses of what was an Irish American experience all too often written out of history. This is the story of poor working class Irish-Americans who worked in brutal conditions in American coal mines and factories. Although they are not celebrated or remembered they had a profound effect of American Society in the early 20th century. Their stories and experiences reflected what it meant to be an Irish American for many. Key to understanding early 20th century Irish American radicalism is their work in The Industrial Workers of the World (IWW) which for the first 20 yrs was the main pole of attraction for many radicals in America. During its formative early years Irish Americans working longside many other nationalities heavily influenced the IWW. The IWW was a Syndicalist Union which believed in the overthrow of capitalism by organising all workers in what would be come their catch cry “One Big Union”. Politically the IWW was closest to Anarcho-Syndicalism having a strong belief that the working class would not succeed in freeing themselves unless they themselves took action for themselves. 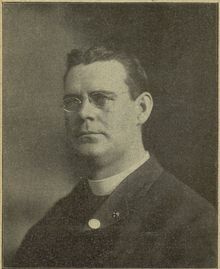 Little is known of the author, Fr Hagerty, but his words would be used time and again to explain the IWW. Hagerty mysteriously would leave the IWW almost as soon as it was founded in 1905 never to engage in radical politics again2. If Hagerty had defined the organisation in words it was an Irish woman who shaped the IWW perhaps more than any other Irish American in terms of action. 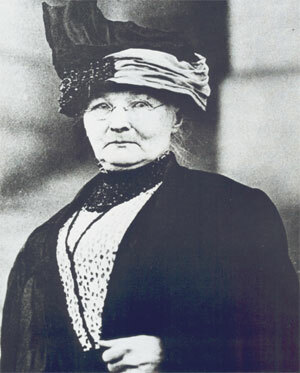 Mother Jones born Mary Harris emigrated from Ireland during or just after the Great Famine3. Jones became a political activist in the 1870’s after losing all her children to disease and the subsequently losing her business in a fire. In the aftermath of these disaters Mary – then Harris Jones got involved in Labour organising. By the turn of the 20th century she was known and feared across America as a prolific organiser often working some of the most brutal mining camps in America. The Mining bosses treated union organisers brutality and Harris saw this first hand through her involvement in the Lattimer Strike in Pennsylvania which saw the Police massacred 19 miners in 1897. It was in response incidents like this Harris would call for miners to “Pray for the dead and fight like hell for the living”. Her stature was such that in 1905 when initial discussions were held about the formation of what would become the IWW, Harris by then known affectionately as Mother Jones, was invited to speak . She went on to signed the first manifesto of the organisation in 1905. Jones would be active in the IWW for nearly two decades, inspiring a new generation of militants, however her greatest successes were out in the mining camps where disputes could often be violent. Her organisational skills and belief in direct action would permeate through the IWW. Almost immediately the IWW was involved in strikes but in its initial years it was the “Free Speech Fights” it waged, that gained the Union a reputation. These involved mili tant campaigns over the right to organise workers and quickly this fighting union attracted radicals including members of the Irish Socialist Club. By 1907 the Gurley-Flynn’s youngest daughter Elizabeth, then only 17, was a full-time organiser for the I.W.W. This began as we shall see a lifetime of activism for Flynn who would be arrested and imprisoned on numerous occasions. For the likes of Flynn rather than rejecting what it meant to be Irish-American they saw their work in IWW and the struggle for Socialism as continuing Irish traditions. She constantly kept in contact with Irish Americans and took an active interest in politics in Ireland, a cause she very much identified with. People like the Flynn’s saw the Irish struggle for independence as synonymous with the struggle for workers rights in the US. One of the major obstacles the IWW saw to achieving their goal of united work class action was racism and ethnic tensions within the American working class. Racial tensions had often been used to divide workers. Irish American workers often saw themselves as better than African Americans and racial tensions were used by employers to stunt unionisation attempts. The memory of the racist draft riots in New York in 1863 when Irish-Americans had been to the fore of lynch mobs attacking Black African Americans reminded people how devisive and explosive these tensions could be. The IWW, in order to overcome this were explicitly anti racist in an era when many unions were explicitly racist. It was in Philadelphia, one of largest ports in the eastern US in the early 20th century, that the IWW made the greatest ground in combating racism, uniting African American, Eastern Europeans and Irish-American dock workers in the famous I.W.W. Branch “Local 8”. 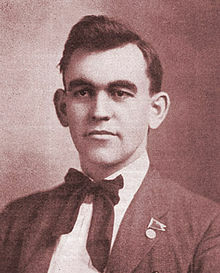 A key component was the Irish American IWW organiser John Joe McKelvey5, who had organised a free speech fight in Spokane in 1909 with Elizabeth Gurley-Flynn. His presence and influence helped overcome the racism that had been prevalent among Irish Americans workers against African Americans. 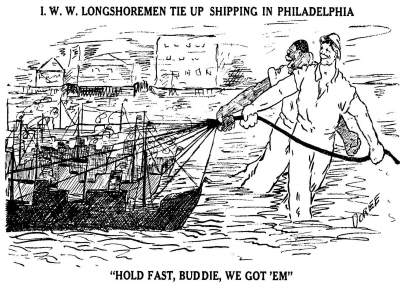 McKelvey’s work along side the work of African American IWW Longshoreman Ben Fletcher reaped huge dividends as the IWW effectively controlled the Philadelphia docks between 1913 -1923 despite constant attempts by other trade unions to subvert their work. The cost of organising for a different vision of America was immense however, John Joe McKelvey was beaten unconscious by the police and held without charge during a strike in 1913. It was through struggles like these that the radical Irish Americans moulded a new identity where being working class Irish American also meant acknowledging the links and common interest they had with other working class communities. The IWW brought together the often segregated communities under a struggle for a better life, having similar successes amongst Lumber workers in Louisiana. This work did not go unnoticed and W. E. B Du Bois the early civil right activist noted in 1919 “We respect it [I.W.W] as one of the social and political movements that draws no colour [sic] lines”6. In these struggles music was a key organising tool of the IWW. With its numerous song writers most famously Ralph Chapman, who famously penned the lyrics of the song “Solidarity Forever”, and Joe Hill they translated their views of the world into easily understood songs. Several Irish Americans who joined the IWW contributed their Irish musical influence on these songs. Many of the songwriters are now lost but there are a few whose details still survive. The most famous Irish American IWW songwriter was “Dublin Dan” Liston who lived in Butte, Montana. Born in Dublin, Liston ended up in owning a bar where several IWW figures drank. He penned the words of “Dan McGann” and the “Portland Revolution”. In the lyrics of Dan Mc Gann Liston challenged prejudices amongst the Irish-American community. And Just let the Irish in. As the IWW grew in stature in the 1910’s, it continued to gain more and more members including many Irish Americans. In 1912 the IWW gained one its greatest organisers when the one of the founders of the Irish Socialist Club, Patrick Quinlan, joined. Born in Limerick in 1883 he emigrated to the US in the early 20th century. When he joined in 1912 the IWW scored one of its greatest victories perhaps one of the issues that attracted Quinlan. 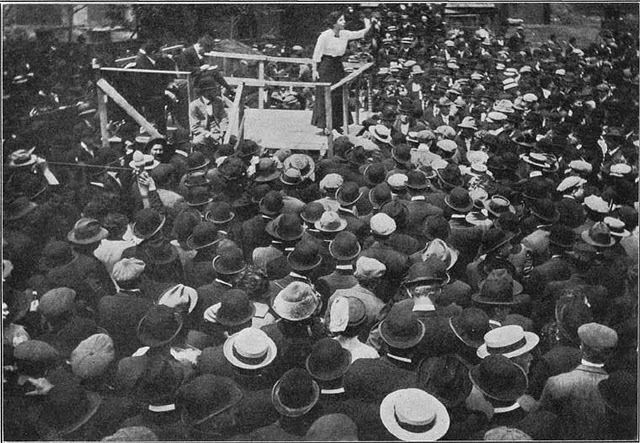 Gurley Flynn adressing Strikers at Paterson. That year saw Elizabeth Gurley-Flynn (now a household name) and Big Bill Haywood organise a successful strike of 20,000 workers in the textile mills in Lawrence, Massachusetts. This victory known as “The Bread and Roses Strike” ensured 1913 would be a year of great conflict between factory owners in the US and the I.W.W. 1913 went on to produce one of the bitterest strikes in US history when the I.W.W. took on the Silk Factory Owners in Paterson, New Jersey. It was here Patrick Quinlan made his name. The strike began on January 27th when the Doherty silk factory fired 4 members of a workers organising committee. In response 800 workers walked off the job in protest. Three Weeks later several thousand workers left other factories to attend a protest meeting addressed by IWW speakers who had been asked to attend. 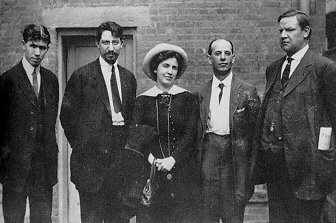 Patrick Quinlan joined Elizabeth Gurley Flynn, Carlo Tresca (an Italian Anarchist), Aldoph Lessig and Big Bill Haywood on the Platform. Within a week these IWW organisers had given 25,000 silk workers the confidence to strike and effectively closed down the Silk industry in Paterson. The Strike would last several months through which the IWW organised kitchens, schools and much of everyday life in Paterson supported by donations from IWW organisations across the country. It was Quinlan who would become the famed leader of this strike, when in May he allegedly told several thousand strikers that they would win the strike even if it meant “wiping Paterson of the map”. 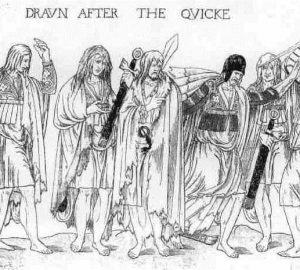 Quinlan was charged with inciting the strikers to riot and after a prolonged court case he was imprisoned. In response a large amnesty campaign was organised and he was released two years later. In the meantime the strike did not fare well. The IWW hired Madison Square Gardens to stage a pageant to illustrate the case at Paterson to New York workers however they did not make the funds they hoped. By late July 1913 the strike was broken due to a lack of funds and internal divisions. Patrick Quinlan would go on to be involved in progressive politics in the US for years being an early visitor to the Soviet Union after the Russian Revolution of 1917. The following year, 1914, saw the arrival of another influential immigrant from Ireland who would shape the IWW. Arriving in Spring unannounced he went to the Gurley – Flynn household in the Bronx, knocking on the door saying “I’m Jim Larkin, James Connolly sent me”. James“Big Jim” Larkin along with James Connolly who had since returned to Ireland, had organised 20,000 workers in one the largest and longest strikes in Dublin – The famed lock out of 1913. Defeated in early 1914, the Dublin workers were forced back to work in utter defeat. Disillusioned Larkin arrived in New York and through his contact with the Gurley-Flynns joined the IWW. Europe when he visited many countries including Ireland. His experiences and exposure to European Labour politics politicised him and on his return to the USA he joined the IWW before joining the Socialist Party of America. By 1916 Mooney, a known radical having organised strikes and demonstrations, was arrested along with his wife and three others. At the end of highly tense trial his wife, Rena, and two others Israel Weinberg and Edward Nolan were acquitted but Thomas Mooney and Warren Billing were convicted. In what seemed to be a repeat of Joe Hills case the two were sentenced to death. This caused outrage as strong evidence indicated Mooney’s innocence. A large campaign was mounted to free Mooney and by 1920/1 incontrovertible evidence pointed to the fact he was innocent. Mooney however had the misfortune of being tried and convicted in the run up to what became known as “the First Red Scare” a period of repression that reached a cresendo between 1919-1920. This meant he would remain in prison for another 20 years before he was finally released receiving a full pardon in 1939. As early as 1917 tensions were reaching fever pitch in the US after IWW had organised against US involvement in World War I. This had seen the entire leadership of local 8 on the Philidelphia docks removed on federal authority in an effort to stop them organising against military shipments to Europe. That year also saw two revolutions in Russia. The first an uprising of workers and soldiers was universally lauded and celebrated by the left. Events changed in October 1917 when Lenin’s Bolshevik party effectively staged a coup d’etat. This would permanently divide the left and eventually be one of the factors that saw the IWW split in two. However in the short-term, these revolutions in Russia illustrated further the potential threat the IWW and the various Socialist parties posed to the US State. This fear worsened when the US Communist party founded by several Boshevik sympathisers including James Larkin amongst others in 1919. Repression reached unprecedented heights and was ironically dubbed “The First Red Scare”. This “scare” was in reality the brutal suppression of the American left. 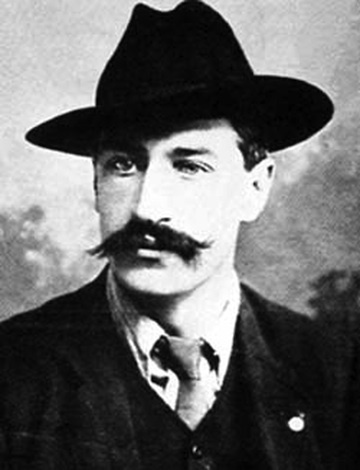 James Larkin then editing a newspaper he had founded with Patrick Quinlan, called the Irish Worker in New York was arrested on the bizarre charge of “Criminal Anarchy”. Convicted, he was sent to Sing Sing Prison for five to ten years. Although Larkin would secure release in 1923 only to be deported but other Irish Americans were not so lucky as Thomas Mooney could testify. Irish American Radicals and Irish Independence. 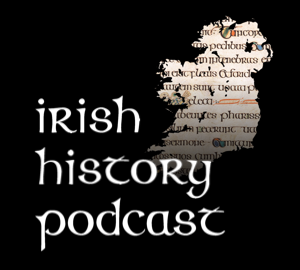 While World War I had precipitated the crisis in Russia and its ramifications were felt around the world, events in Ireland were beginning to change rapidly too. The outbreak of the Irish War of Independence in 1919 excited almost all Irish American radicals who obviously kept a keen eye on the struggle for Irish Independence. However their hopes were very different to the reality in Ireland. In Ireland in the aftermath of the 1916 rebellion and then subsequent threats by the British government to introduce conscription, the ranks of the Republican movement had swelled both politically in terms of Sinn Féin and militarily in terms of the IRA. Through 1918 the struggle for Irish independence intensified with the war of independence breaking out in 1919. This period saw increased contact from Irish Republicans with radicals in the US. The relationship between radical Irish Americans and Irish republicans was very mixed as the very differnt attitudes of two Republicans Liam Mellows and Eamon De Valera illustrates. 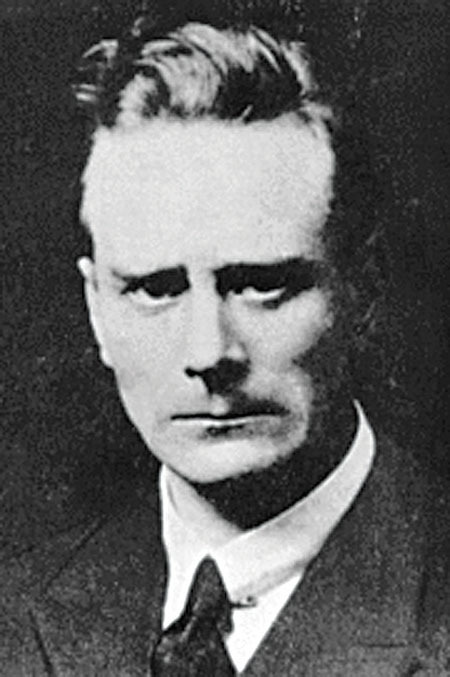 Liam Mellows was the only Irish Republican leader to the command a significant uprising outside Dublin in 1916. Although he was able to muster several hundred people in East Galway Mellows was forced to disband the unit when faced with superior forces. In the aftermath Mellows, a wanted man, fled to the US but was quickly arrested and imprisoned in “The Tombs” prison on suspicion of aiding Germany in World War I. While he was in prison Elizabeth Gurley-Flynn and Carlo Tresca, who were now partners, were arrested and held in the The Tombs. Although they would not meet in prison Gurley-Flynn later met Mellows on his release in 1918. When she mentioned to Mellows that they had both shared time in “The tombs”, an associate of Mellows shocked that a woman would be imprisoned asked “And What were you in Jail for”. Mellows being more understanding of the ongoing struggle in US than many Irish Republicans interjected “Don’t you know there’s a struggle for peace and freedom here too”. Mellow’s sympathetic opinions were in the minority among Irish Republicans who came to American and this was particularly evident with the arrival of Eamonn De Valera in June 1919. The Stature of De Valera, who was smuggled into the US, was immense given he was the sole surviving 1916 signatory. A narrow nationalist, De Valera had little time for radcial Irish-Americans in general. When approached to put up bail money for the release of James Larkin then awaiting his trial during the red scare, De Valera would only give the money in secret as he feared alienating Irish American businessmen. As De Valera and Mellows left America and returned to Ireland in 1920, the American left had already reached its zenith. The influence and power of the IWW was losing ground to overtly political organisations like the Communist party and the various Socialist party’s. As many Irish Amercians drifted towards these organisations their influence dwindled considerably. The movement that had proved so strong in the strikes 10 years previously, started to fragment and decline in both numbers and power. The IWW was the first victim, first torn apart by attitudes towards the Soviet Union and then debates about internal organisation it eventually split in 1924. The early 20’s also saw any hopes they had that the emerging republic in Ireland would fulfil their hopes of a better world dashed. The news of the execution of Liam Mellows in Mountjoy Gaol by the newly formed Irish Free State in 1922 during the civil war was particularly poignant for Gurley Flynn and brought home in brutal and shocking terms that the new Irish state was not necessarily going to be the republic either she had hoped for. The early 20th century clearly illustrated that there no such thing as THE Irish American experiences or even THE quintessential Irish American. Class differences created often conflicting views of what America should be within the Irish American community perhaps best illustrated by the fact that Elizabeth Gurley Flynn was indicted by senator Josephy Mc Carthy another Irish American during the second red scare. James Larkin highlighted it further when in Sing Sing prison. As he recalled the myth of St Patrick banishing snakes from Ireland he caustically followed it with the line “And Where did they go? They came to America to become politicians policemen detectives – and prison guards.”12 highlighting tensions over what it meant to be an Irish American. All to often radicals among the Irish American community have been forgotten. Often dubbed as un-american they strenuously rejected this notion. They saw themselves as much Americans or Irish American as much as anyone else, they just held a very different view of what America should be. This was best highlighted at the Paterson Silk Strike of 1913 where they stood behind banners that read “we wove the flag, we dyed the flag, we live under the flag but we wont scab under the flag”. Thomas J Hagerty mysteriously disappeared in 1905 never again assoicating with the IWW. He was tracked down in 1917 by IWW member Ralph Chapman, when he was living in Chicago under an assumed name Ricardo Moreno but never re-engaged in politics. Indeed he renounced the IWW when they sought his help in 1919. Elizabeth Gurley-Flynn was active in politics all her life. She went on to join the American Communist party in 1936. She was died in 1964, on a visit to the Soviet Union where she was afforded to the State funeral. 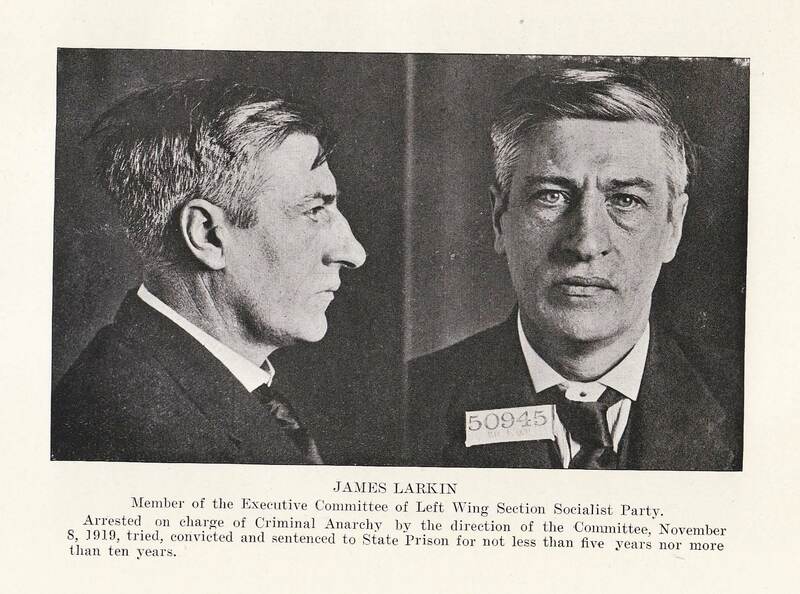 James Larkin was freed from Sing Sing and deported from the US in 1923 arriving back to an Ireland gripped by civil war. He campaigned for an end to the conflict and then devoted much of the 1920’s to communism in Ireland. He rejoined the Labour Party in 1941, a party he had founded in 1912. He died in 1947. Liam Mellows did not live long after he left the US. He opposed the treaty in 1922 and fought on the Anti Treaty side. He was one of 4 people executed in reprisal for the IRA execution of the TD Sean Hales. He was 27. Patrick Quinlan visited the Soviet Union in the early 20’s but judging from this Letter in the New York times he was critical. He died in 1948. John Joe McKelvey’s later life is not well recorded, if anyone knows anything more about him I would appreciate any information. William “Big Bill” Haywood fled the US in 1921 during the red scare to live as an unhappy exile in the Soviet Union, dying in 1928. 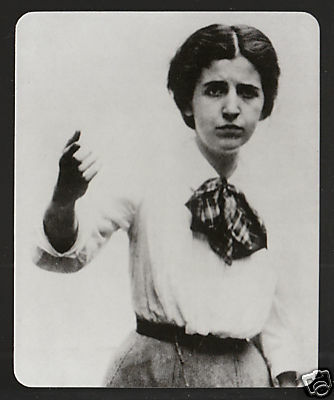 Carlo Tresca, Elizabeth Gurley-Flynn’s partner was active in Anarchist and Labour politics in the US for two decades focusing much energy on anti-fascism and attempts to stop the mafia infiltrating Unions. He was also a vociferous opponent of the Soviet Union. He was assassinated in 1943 at the hands of Fascists, the mafia or possibly the NKVD. 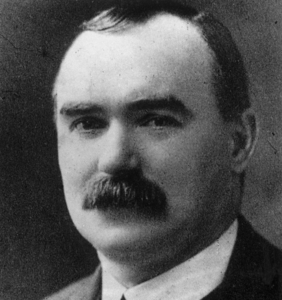 Connolly was a member of the Socialist Labor Party and it shows in much of his writing about social revolution, socialism, the political State and his membership in the IWW. Aha – I see you mentioned all that at the end – excellent!! Great article, the only error I see is the surname of Ralph Chaplin (Chapman in the article).